Suneden Specialist School offers a Transition to Work programme for students aged 17-21 years who have been identified as having both the desire and potential to move towards a supported or open work environment. 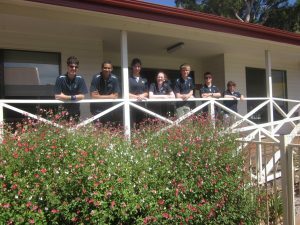 To facilitate an adult approach to learning, a vibrant and diverse program operates from a modern and well equipped purpose built house located on the grounds of the school. Our Transition to Work program operates within an independent framework called ‘iTransition’. Each of these areas are important in their own right. They are taught explicitly and practiced through a variety of opportunities both in the House and beyond. Community based learning enhances our program and includes work experience, transport training, shopping, recreational activities and volunteering.